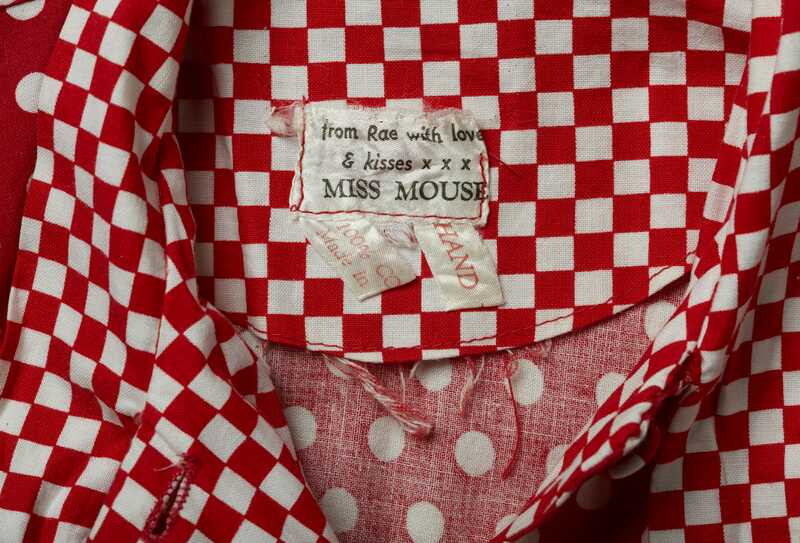 This dress was designed for her label ‘Miss Mouse’ by Rae Spencer Cullen, a member of a creative circle that included fellow designer Zandra Rhodes, film director Derek Jarman, and sculptor and jeweller Andrew Logan. Like other designers of the early 1970s, such as Barbara Hulanicki of Biba and Lee Bender of Bus Stop, her unique style was inspired by fashions of previous decades. 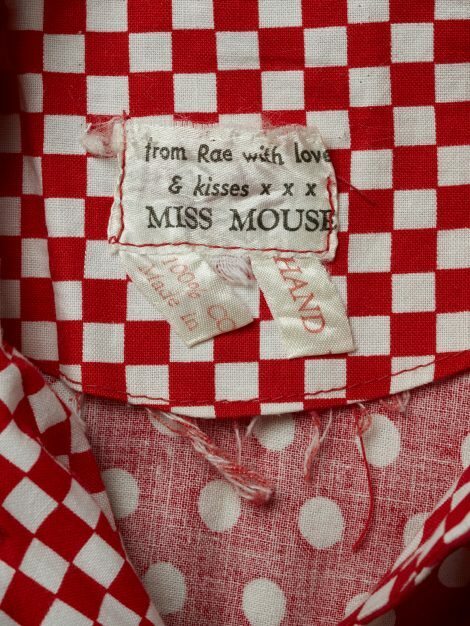 She updated the use of novelty printed fabrics to include motifs such as cigarette packets and playing cards in her designs. 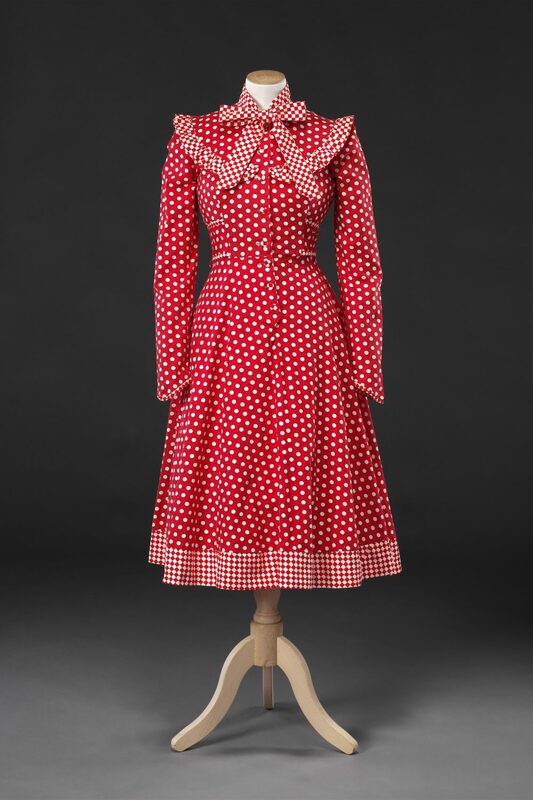 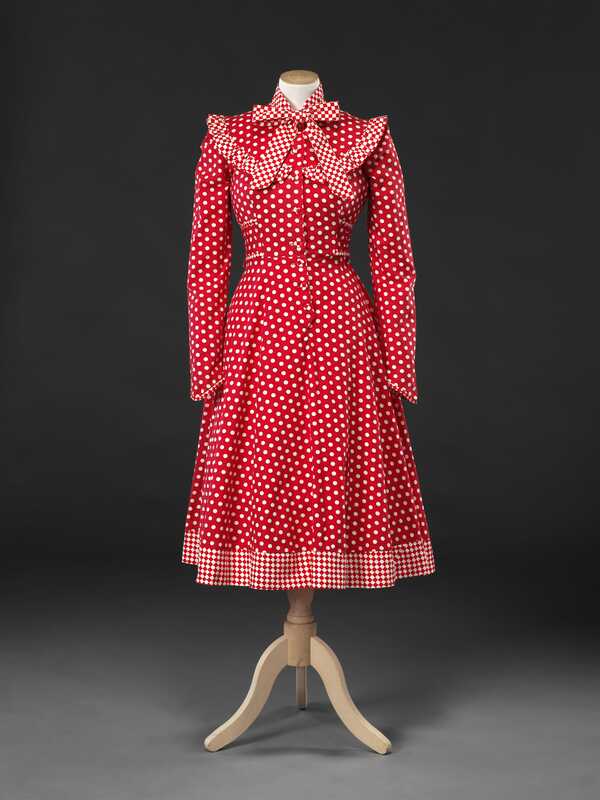 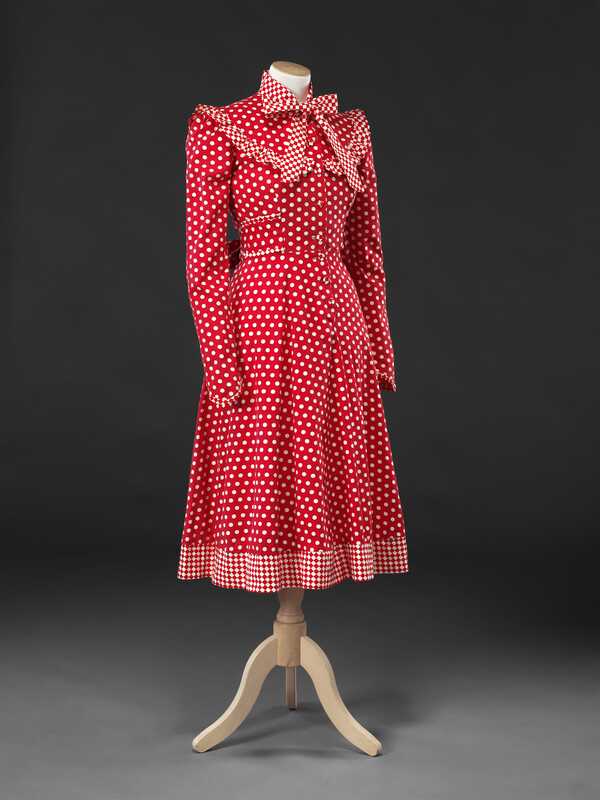 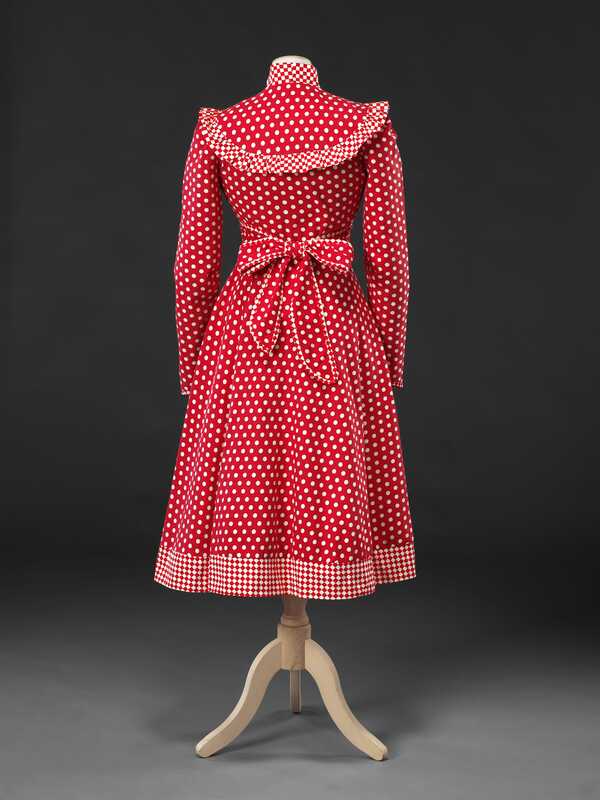 The bright primary colour and combination of spotted and chequerboard prints give this dress a bold clown- like character, current in youthful fashions of the early 1970s.